I'm still mind blown that this is happening. A part of me thinks that this isn't real and that sonogram photo must be taken off of Google images or something. It can't possibly be OUR baby. But friends it is and we are thrilled to be able to announce that baby Schmidt will be arriving early July! I hoped and prayed that 2017 would look differently than 2016 because friends, 2016 was the hardest of my life. To say I'm thankful not only to having a little one growing inside me, but for a healthy pregnancy so far would be an understatement. Losing a baby last year defeated me. I struggled for a long time and if I'm being honest it still hurts. This week is my original due date for our January baby and though having a July due date to look forward to is wonderful, the thought of what this week was suppose to hold stings. 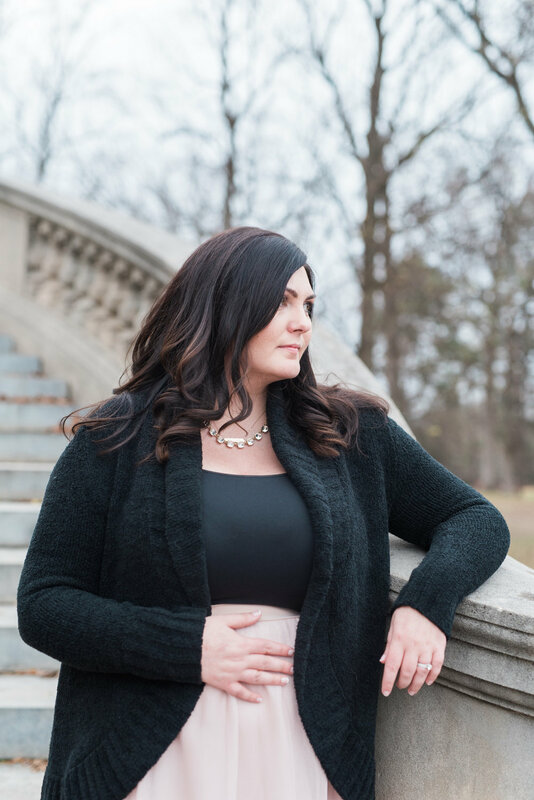 After our miscarriage it took my body 2 months to get back to "normal" and with the advice of all our doctors we decided to jump into fertility treatments. Being in the world of treatments is draining. Now, I really want to emphasize that what we went through is truly insignificant compared to what others experience. I count my lucky stars for our team of doctors and nurses who played an amazing role in making us parents, but every day I think of the others still in the wait and those who have recently experienced multiple miscarriages. Annmarie Swift posted on her Instagram account a little about her motherhood journey today and mentioned that although an experience may be shorter than others, hurt is hurt. I couldn't agree more. Our failed months killed me. Going to ultrasound after ultrasound, the shots, the pills, having your life revolve around doctor's orders, and timing everything perfectly is such a roller coaster. This is why I think of others still in the wait everyday. It takes over your life, it changes your marriage, and when it doesn't work you have to hold your head high and start again. Chris and I went to the Outer Banks the first weekend in October last year one day after another failed month and I was miserable. I walked down to the beach by myself before we left to come home and cried. I am not super religious, but have held on to God's plan during this time and He has helped me more than anything. I begged Him for October to our month. Begged. I prayed and said that I couldn't do it anymore. My life was being overtaken and I needed October to be it. And weirdly, during the whole month both before and after our IUI treatment mid-October I felt calm and positive. We didn't even time our IUI correctly and I still felt like this was it. And it was. So here we are about to enter week 16 and with a due date of July 7th. Counting down the days, y'all. 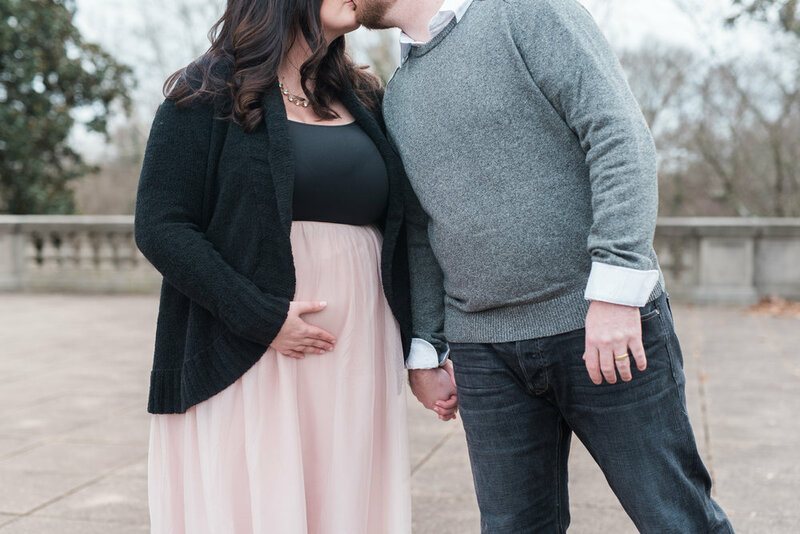 A huge thank you to Katie for taking these photos of us that I will treasure forever. And thank you for all f the sweet calls, texts, comments, and emails this week. Each one means so much to me. Here is a video of me telling Chris the evening after I found out. It's terrible quality and too dark, but I love it. The book is Wish by Matthew Cordell. Duck, North Carolina. Hands down my favorite place in the whole world. Chris' parents have a beach house there and for the past 4 years we have made so many memories in this little piece of heaven. I grew up on in South Florida...home of palm trees, the whitest of sand, and sunshine everyday. Chris first took me to Duck March of 2011 and I was kind of hoping I wouldn't have to fake loving the beach there. No palm trees? March when it's about 50 degrees? Seriously? But we had the best time that weekend and I fell in love with the Outer Banks. Is it different than Palm Beach down in Florida? Absolutley, but it's perfect. To me it's got a kind of Nicholas Sparks feeling to it. It's a small town, family run business type of place. It has made North Carolina my favorite of all states and is the reason Wagon Wheel by Old Crow Medicine Show is our song. You have the ocean on one side and the sound on the other. In the summer it's busy, like really busy. I'm pretty sure most of the East Coast packs up their cars and heads to the Outer Banks for the season. Which I still find hilarious as I used to go to the beach for an hour before class when I was in college. Now, it's a whole production. In the Fall and Winter, it's almost magical. Ecspecially in Duck. You feel like you are the only ones there. The beaches are no longer packed and I might even like it better this time of year. We've celebrated so many things down in Duck. It's where we got engaged, celebrated Chris' cousin's wedding, spent July 4th with the family, and taken countless trips with our friends and a few just the two of us. Like we did this past weekend. We decided it would be the perfect Valentine's getaway. Life has been a little crazy round here and sometimes I feel like days go by and I've barely talked to my husband. Duck was perfect timing for a little reconnecting and I wanted to share a few pics from our weekend away. This is Sweet T's. I know I'm a Starbucks addict, but this place beats them hands down. 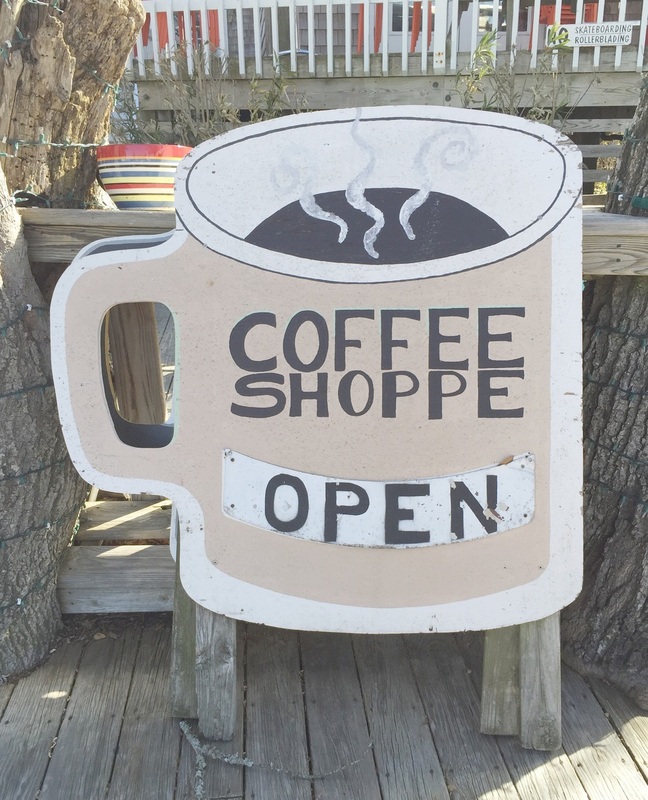 My all time favorite coffee spot. it's located right outside of the neighborhood and I usually walk down to it-though this weekend it was about 20 degrees-so I obviously jumped in the car. Sweet T's offers wine and beer tastings too year round and let's be honest- It's the cutest little shop ever. There is a great little thrift store on the mainland that we always go to. We've grown quite an extensive ugly Christmas sweater collection thanks to this store haha. It's so much fun to walk around and laugh at the ridiculous things we find here. 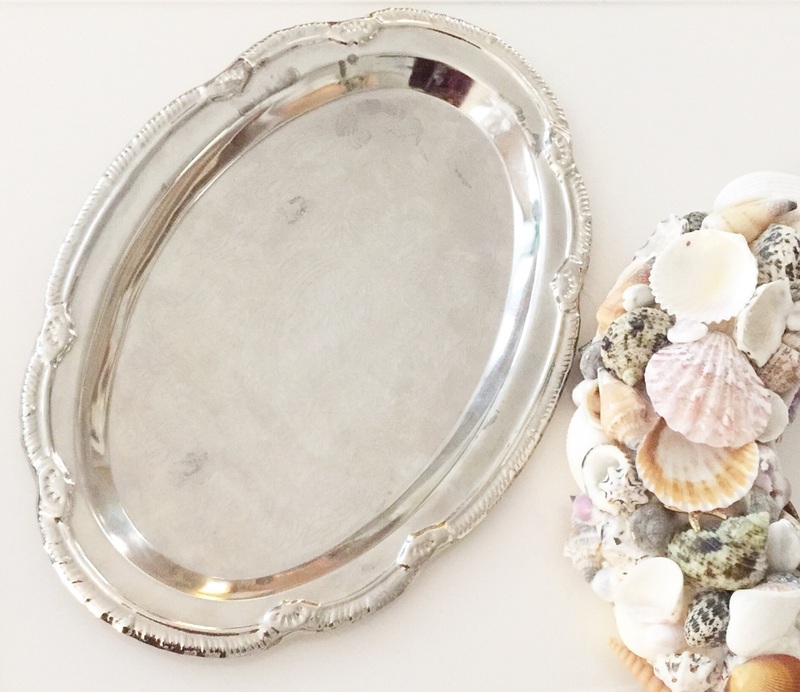 On this trip however, I found the perfect little vintage silver tray to be a part of an upcoming styled shoot that will be held here in Duck next month. Stay tuned for that one friends! We celebrated Valentine's day with cinnamon rolls for breakfast...yum! I know, they're not very good haha. We had so much fun though. On the last day we were there we just relaxed all day and watched movies. Sometimes your body needs to do literally nothing. And that's exactly what we did. And we ended our little getaway with the most beautiful sunset over the sound. Why are Winter sunsets the best sunsets? Duck, North Carolina- You have my heart and I can't wait for the thousand more memories we will make with you over the years.